SAN FERNANDO CITY, La Union July 12 (PIA) -- Pedestrian users and commuters coming in and out of Urdaneta City in Pangasinan will soon feel the benefits of the widening of the Manila North Road (MNR) and construction of the pedestrian overpass in this city, this was stated recently by the Department of Public Works and Highways (DPWH) I regional director Veniedo O. Reyes. DPWH1 Public Relations Officer II Esper Tinaza said that the construction of the pedestrian overpass is part of the project on the improvement/widening of the MNR in the city which includes the construction of the Portland Cement Concrete Pavement (PCCP) sidewalk with curve gutter, lateral drainage with manhole and the road right of way acquisition. Pedestrians and road users alike experienced the risk of possible road accidents which also paved the way for the construction of the pedestrian overpass that crosses from the Urdaneta 168 Mall (formerly the public market area) to the other side of the highway. 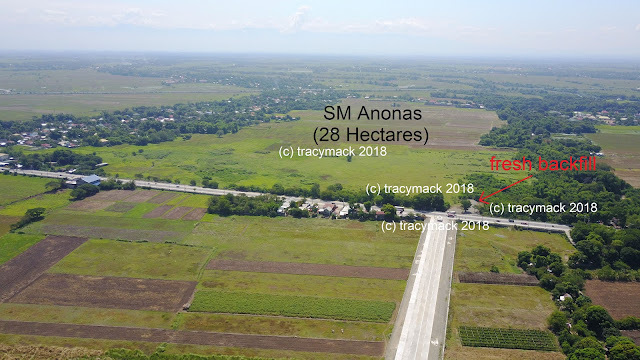 During his recent actual site inspection, Reyes assured that the project which is seen to be completed come September 2011, will benefit motorists passing through the national highway (MNR). Travel time to the north coming from Manila and vice-versa will be reduced because traffic will be decongested. “Malaki ang tulong nito sa pagluwag ng traffic at mailalayo naman sa anumang aksidente ang mga taong tatawid dahil ligtas sila sa dadaanan nilang pedestrian overpass”, Reyes added. The project started on March 25, 2010 and is implemented by the DPWH Pangasinan 3rd District Engineering Office (P3DEO) in Tumana, Rosales,Pangasinan and is expected to be completed on September 06, 2011.